Kenneth Evans, Jr. was born and raised in Decatur, Illinois. His father was an attorney, at one time States Attorney of Macon County, and his mother was a mathematics and english teacher. He attended the University of Illinois, receiving a B.S. in Engineering Physics in 1963, an M.S. in Physics and Mathematics in 1964, and a Ph.D. in Theoretical Physics and Mathematics in 1970. He was a Research Associate at the University of Wisconsin in Madison from 1970-1973, working in Controlled Fusion. He joined Argonne National Laboratory in 1974, where he remained until retiring in 2010. His work there was in four major areas. Ken was responsible for the Plasma Physics for all of the fusion reactor conceptual designs developed at Argonne, and was a major participant in the Starfire conceptual fusion reactor design. 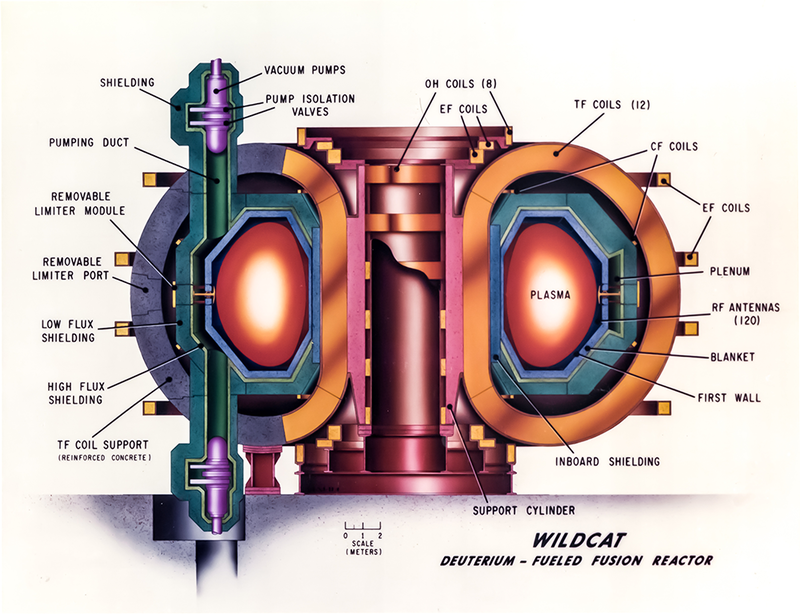 This was the most comprehensive commercial fusion reactor design of the time and remained so for many years. He was the principal investigator for Wildcat, the most comprehensive DD fusion reactor design, also for many years. He developed software in several areas relevant to controlled fusion, including magnetohydrodynamic equilibrium, fusion reactor system analysis, and costing. In 1991 owing to the declining interest in controlled fusion as a near-term energy source, in part brought on by the Starfire study, he changed fields and joined the Accelerator Physics group of the Advanced Photon Source (APS), which was being designed and constructed at Argonne at the time. Though lacking any significant training and experience in accelerator physics, he made several important contributions, mostly involving software development. He was present at all of the important commissioning milestones for the Advanced Photon Source (but was not one of the principal accelerator physicists). He wrote one of the first graphical-user-interface (GUI) accelerator design codes, and was especially involved in the mathematics of the feedback control of the magnets that keep the beam located within a fraction of a millimeter over its 1.1 kilometer path around the ring while going at more than 270,000 times around per second. He was the principal liaison between the Controls group at the APS and the Physics group, and in 1997 was transferred to that group. There he became involved with the Experimental Physics and Industrial Control System (EPICS), which was being developed in collaboration with Los Alamos and what would become a large world-wide consortium. EPICS was considered to be the leading industrial control system in the word in those years and is used in many large experiments, such as particle accelerators and telescopes. He became one of the principal developers for EPICS. 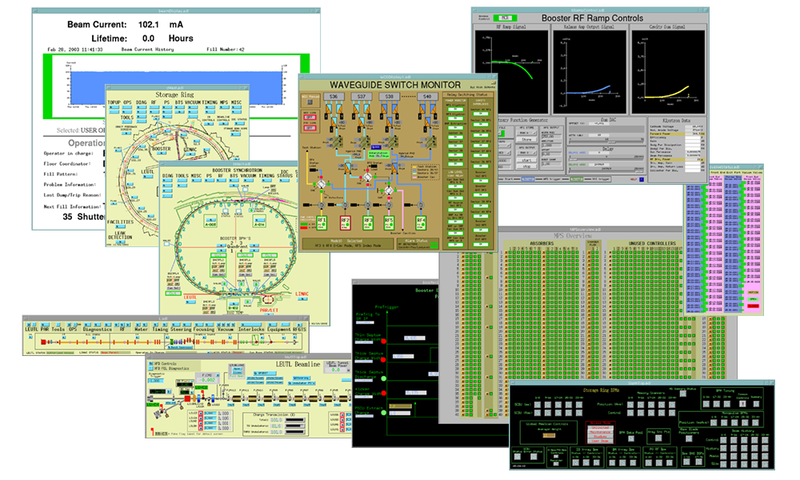 He was responsible for the Motif Editor and Display Manager (MEDM), which is the principal user interface for controlling and monitoring the thousands of instruments that make up a facility such as the APS. It is used by nearly everyone, from physicists and engineers to management. The televisions you see around the site and the ring are running MEDM. If you go to the control room, you will see MEDM on almost all the computer screens, and you will see it running at the beam lines and in offices throughout the facility. It was new software technology at the time it was written, and although it is now old technology, it is still in widespread use. At the APS alone there are tens of thousands of control screens, like the examples below, which are both created in MEDM in its edit mode and run by it in its execute mode. He was also responsible for the EPICS Gateway and a significant number of other EPICS programs. Both MEDM and the Gateway are essential applications that run 24/7 at the APS and many other installations worldwide. They are both reliable and hardly ever crash while handling tens of thousands of transactions per second. Reliability is crucial as every minute of downtime at such a facility is significantly costly. As the APS became more mature, money was taken away from EPICS and other accelerator development and dedicated more to the beam lines, where the experiments (the real reason for having the device) are done. Most of the EPICS developers retired or moved elsewhere, and Ken became involved in X-ray software after heading a committee in 2006 to assess the fundamental needs and opportunities in scientific software for x-ray data reduction, analysis, modeling, and simulation. He was made the head of the newly-created Scientific Software Section, but the section was never adequately funded or staffed. His principal software contribution in this period was to Fable, which is a software framework for automating beam line experiments for materials science. It consists of physics codes written in C and Python and a GUI based on Eclipse, which is Java based. Ken made contributions to both the physics codes and the user interface. He one of the three principal developers of the interface, the others being at the European Synchrotron Radiation Facility (ESRF) in France. Ken has always had a wide variety of outside interests, including tennis, racquetball, SCUBA diving, biking, woodworking, photography, and art. He lettered in tennis in high school and played on the freshman tennis team at the University of Illinois. In his thirties he played racquetball near the top of the ladder in two surrounding communities. In his sixtieth year he completed a double century (200 mi. in one day) biking. In retirement he continues to write software, walk and bike, and do art (now primarily digital).